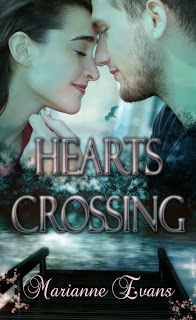 Her entry has been chosen as the winner of our Hearts Crossing contest. Entrants were given the cover (sans author name) along with a synopsis. As suspected, the entries we received were varied in content and scope while still adhering to the synopsis. Response to the contest was overwhelming, and the competition tough, but Marianne’s romance between Collin Edwards and Daveny Montgomery stood out. Stay tuned for more info on the exact 2010 release date. You don’t want to miss it! Thanks to all entrants for making the judges’ job a difficult one. We appreciate every one of you. Happy Christmas and New Year to everyone. Wow, Beverly – what an amazing coincidence!! I hope your heroine wasn't named Daveny and that your hero wasn't named Collin – otherwise our muses need to stop having quite so many intimtae conversations with one another!!! LOL!!! Thank you so much for the well wishes – they are much appreciated! Absolute congratulations are in order, Marianne. You're starting your New Year out very happily! I'm looking forward to reading your work. When I read your characters' names, I was taken aback. Those were the same last names as my main characters for this contest (Edwards and Montgomery). Well, you know what they say about great minds (smile). Congratulations again. Congratulations, Marianne! I'm thrilled for you. What a Christmas present! Yay. CONGRATULATIONS!!!!!!!!!!!!!!!! I'm so excited to read it. Well done! Congrats Marianne! I can't wait to read this!!!! !